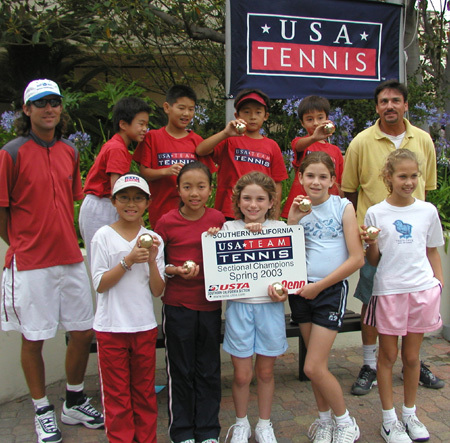 12 Novice -Champions - Orange County - Sea Cliff Tennis Club and Heritage Park Coach - Robert Van Dyne (SeaCliff), Chris Emery (Heritage Park) (L to R) Catherine Nguyen, Helen Nguyen, Amelia Ritger, Stephanie Myers, Laura Kaufman. Second Row - (L to R) Benton Li, Naoyuki Kondo, Reo Asami, Anthony Price. Not pictured Wesley Liu Akashi Yoshida, and Aki Tanaki. Quicksilver/Roxy National Jr. Open Championships May 24-27, 2003 Costa Mesa. Tournament Chairman - Annette Broersma. 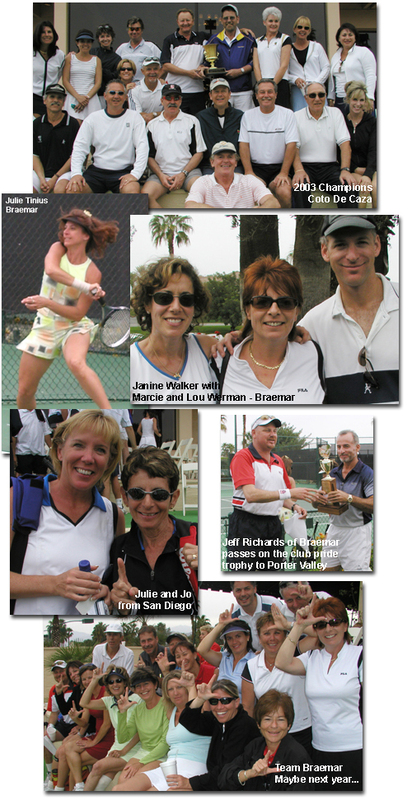 Calabasas Men's $50,000 Pro Challenger, April 7-13, 2003 Calabasas Tennis and Swim Center. Featured Bob Bryan, Cecil Mamitt, Kevin Kim, Paul Goldstein, Robert Kendrick..